Brilliant album from start to finish and definitely Paul's most accomplished work in the 80s! 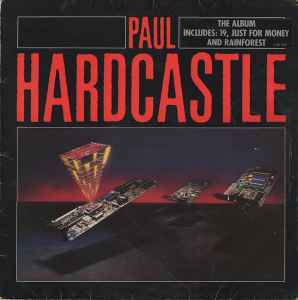 "King Tut" is my favourite track (apart from "19" and "Rain Forest", of course), wonderful ethereal electro driven by the flawless "Hardcastle groove"! ACE!! Tour de force. Complete mastery of the studio technology of the period. Rainforest is timeless and probably influenced many mid 90s intelligent dnb producers. Lovely stuff. Dope vocoder and synths on 'Strollin', which sounds like some ill Wally Badarou bizniss. the last 2:40 mins of rainforest ar incredible!!! only exist in this album? exist in maxi? the last 2:40 mins of rainforest are incredible!!! Mmmm. Very delicious release. Paul is one of the most gentle and intelligent electro-producers. Wonderful, surprising and talented musician, by all means. This album sounds very solid. I love to start the listening, because the introduction is my true favorite. Then comes the nineteen in the full version and it starts... The most beautiful is King Tut - true poetical and essential classic. The only thing I don't like is the extension of the Rainforest here; the version sounds very nice, before the last themes begin to pump. These sounds have nothing in common with the precious main line. I can't say that it seems like a mistake, just runs parallel to my vision.